At the end of part 2 of this series I’d left you with an unfinished crane due to a piece being lost. 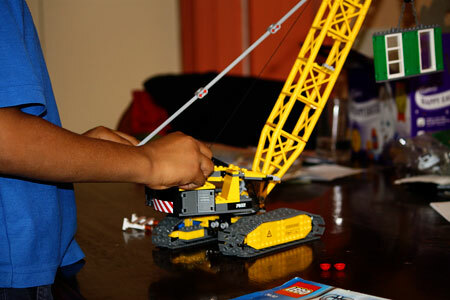 If you want to start from the beginning of the Building Crawler Crane Lego you’ll want part 1. After a fair amount of searching, I’d found a website for the replacement piece – it must have been the Lego one – and ordered the piece which arrived the other day. Interestingly even though I was able to order this piece from the website it must have been an international website because the letter that accompanied the missing piece told me that Australia doesn’t have a replacement part service setup. I didn’t even know there were different regions. Obviously the website needs some sort of work so this thing doesn’t happen, or maybe it doesn’t happen very often. But they still sent me the piece which was great. 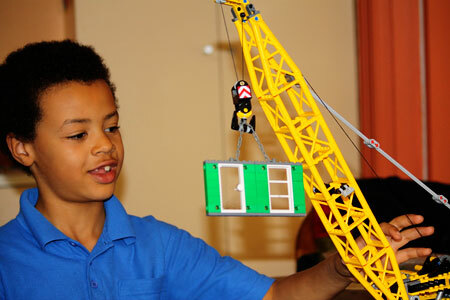 We quickly assembled the final part of the crane and now – finally – have a working crane. JJ used the word awesome as he worked out the moving parts and immediately had a go at lifting things up and down with the crane. As the crane is made of Lego, if you’re not careful, pieces can come off pretty easily so it’s out of bounds of any visitors as I can just see what will happen and I don’t want to lose more pieces. We’ve got plenty of Bionicles that have had bits fall off and never made it back on. The letter accompanying the missing piece informed me that as Australia doesn’t have the replacement part service setup – and why is that I wonder – but there are other alternatives. There is the Pick a Brick Lego shop for spare parts. I swear I couldn’t find this when I did a web search earlier but it’s definitely good to know. They also gave me a list of websites maintained by Lego fans that between them look like they can answer all things Lego.